Расположение: Location: In Southall, Close To Religious Places Of Worships And Leisure Areas. 20 Km. From London. Расположение: This basic hotel is ideally located within 2-3 minutes walking distance of Swiss Cottage underground station, with easy connections to all of London's major sights. Расположение: Северо Запад Лондона. 10-15 Минут до центра Лондона. Расположение: Location: Lords Is Located In A Quiet Garden Square In Bayswater, The Heart Of London. Расположение: Location: In A Vibrant North London Area, Near Numerous Public Transport Alternatives, Easily Connecting With Central London. 4 Km. From Arsenal Stadium, 7 Km. From Camden Town And 11 Km. From The Big Ben. Расположение: Location: In Harlesden, 10 Km. From Piccadilly Circus, With Easy Access To London's Tourist Attractions As Well As Theatres And Restaurant Areas. Расположение: Location: Very Close To King's Cross And St. Pancras International (eurostar) Stations, 1 Km. From The City Centre And The River Thames. Near The Main Tourist Attractions. Расположение: Important place or monument close to the hotel: Located just 200m from the main west entrance of the Exhibition Centre. Nearest station/metro: Custom House (DLR) -5min walk. Расположение: Important place or monument close to the hotel: close to Westminster and Waterloo International. Nearest station/metro: Elephant & Castle - 2min. Nearest exhibition centre: Earls Court - 30min. Nearest airport: Heathrow - 45min by train. Расположение: Important place or monument close to the hotel: situated in Bayswater area. Nearest station/metro: Paddington metro -5min walk. Nearest airport: Heathrow Airport -30km. Расположение: Important places near the hotel: Opposite Euston Underground and Mainline Station. Close to West End and Oxford Str. Nearest station/metro: Euston-directly access road-1min walk. Airport: Heathrow-40min Tube. Расположение: Location: Within Close Vicinity Of The Old Marylebone Road And Various Underground Stations Such As Paddington, With Its Express Service To Heathrow Airport. Less Than 1 Km. From Sights Such As Marble Arch, Hyde Park And Oxford Street. Расположение: Nearest station/metro: Marble Arch metro station - 2min. Расположение: Important place or monument close to the hotel: Tower Bridge -20min. Nearest station/metro: On the tube to Central London approx. 25min. Расположение: Nearest airport: LCY Airport -10km. Расположение: Important place or monument close to the hotel: Oxford Street -10min walk. Nearest station/metro: Paddington Rail Station & Underground -2min walk. Расположение: Important place or monument close to the hotel: located in the heart of Bayswater. Nearest station/metro: Bayswater and Queensway Underground stations are only a short walking distance from the hotel. Расположение: Important place or monument close to the hotel: City center -6km. Located by the Earls Court Exchibition building. Nearest airport: LHR Airport -12miles. Расположение: Important place or monument close to the hotel: Located just five minutes walk from Paddington underground station on a quiet tree lined square. Nearest exhibition centre: Earls court - 3km. Nearest airport: Heathrow - 15km, Gatwick - 45km. Расположение: Important place or monument close to the hotel: Ideally situated in a peaceful residential terrace, and just a few minute's walk from Hyde Park and Kensington Gardens. Nearest exhibition centre: Earls court - 5km. Nearest station/metro: Paddington - 1km. Расположение: Important place or monument close to the hotel: Tower of London -10min. Nearest airport: Heathrow Airport -32km. Расположение: Important place or monument close to the hotel: Located in Clerkenwell, on the edge of the square mile a short distance from St Pauls and the bank of England. Nearest airport: LHR Airport -37km. Расположение: Important place or monument close to the hotel: Located in Paddington, just a few minutes away from both the tube and train station, city centre - 1km. Nearest airport: Heathrow - 22km, Gatwick - Nearby. Расположение: Important place or monument close to the hotel: Located in the heart of central London. Nearest station/metro: Kings cross - 5km. Nearest airport: Heathrow - 15km, Stansted - 10km. Расположение: The hotel is located in Bayswater area. Hyde Park, Kensington Gardens and Kensington Palace are all a short walk from the hotel. Also Queensway (Central Line) and Bayswater (District and Circle Lines) underground stations are just 5 minutess-n walk away. Расположение: Located with an excellent view overlooking the open space of Clapham Common and only a few minutes walking to Clapham Common tube station which is fifteen minutes from central London. Расположение: Северо Запад Лондона. 15-20 минут до центра Лондона. Расположение: Location: On The Corner Of Courtfield Gardens, The Hotel Is Close To Several Attractive Garden Squares, Offering The Charm And Elegance Of Victorian London. Расположение: Location: Situated In Chelsea And On The Border Of Fulham Close To Knightsbridge. Wimbledon Is Only A Few Minutes Away By Bus. Расположение: Location: In Paddington And A Leisurely Stroll From Marble Arch, Hyde Park And Queensway. Расположение: Location: Close To The Bustling Heart Of The City And Just A Step Away From The Serenity And Tranquillity Of The Royal Hyde Park - Kensington Gardens. Расположение: Location: Naer Hyde Park, With Good Pubblic Transport Connections. Расположение: Location: Close To Vistoria Train, Bus And Metro Stations. It Is Also Perfectly Located For Local Sights And Attractions That Include Buckingham Palace, Houses Of Parliament, Big Ben, Trafalgar Square And Many More. Расположение: Location: In The Beautiful And Trendy Districts Of Kensington And Chelsea. Near The Natural History Museum, The Science Museum And The Victoria And Albert Museum. Расположение: Location: Very Central, A Few Minutes From Kensington Palace And The Royal Albert Hall. Near Bayswater Underground Station. Расположение: Location: In The London District Of Bayswater, 2.5 Km From The City Centre. Close To The Gardens Of Kensington Palace And Hyde Park. Расположение: Location: Olympia Exhibition Centres Is Within Easy Walking Distance As Is The Earl's Court Underground. Many Historic Sights, Parks, Museums And The Fashionable Shopping Area Of Knightsbridge Close In Proximity. Расположение: Location: The Hotel Is Close To The Wembley Exhibition And Conference Centre, With Good Acess To The Centre Of London Via Public Transport (15 Km.) An Ideal Departure Point To Discover The Beautiful Hertfordshire Countryside. Расположение: Location: Located Facing Big Ben And Westminster, 3 Minutes From Waterloo Station. Расположение: Location: 400 M. From Hyde Park, Very Close To Paddington Train Station And Less Than 2 Km. From Oxford Street, London's Shopping Hub. Расположение: The hotel located in Earls Court. Kensington Palace, Harrods and Buckingham Palace are within easy reach. It provides easy access to Heathrow International Airport. Расположение: Location: In A Residential Street In South London, 2 Km. From Zone 1 And 3 Km. From Tower Bridge And Tower Of Londres. Near Numerous Bus Stops. Расположение: The hotel is situated in a quiet side street, just off the Bayswater Road, with easy access to London's West End via Queensway or Lancaster Gate underground stations. It provides easy access to Heathrow International Airport. Расположение: Центральный Лондон, 2 км до Ридженс Парк. Расположение: Location: Situated In The Southern Area Of The Epping Forest, 17 Km. From The Centre Of London. There Is A Shuttle Bus Connecting The Hotel And The Train Station. Расположение: The hotel is located near Heathrow International Airport. Stockley Park, Windsor Castle and Legoland are within easy reach. Расположение: The apartments are located close to central London and the 2012 Olympic Park. The O2 arena, the ExCeL Exhibition Centre and Canary Wharf are some of the near by attractions. London Heathrow International Airport is easily accessible from the hotel. Расположение: Location: Situated In The Centre Of London, Near To Trafalgar Square, Picadilly, Oxford Street, British Museum, Regents Park, Madame Tussards And Buckingham Palace. Расположение: Important place or monument close to the hotel: Situated in Kensington, close to Harrods, Earl's Court, Olympia and the Royal Albert Hall. Nearest airport: Heathrow Airport -12 miles. Расположение: Запад Лондона, в 10 минутах от аэропорта Хитроу. Центр - 40 минут. Расположение: The hotel is ideally located adjacent to the M4 Motorway, near London - Heathrow Airport and Brunel University. It is minutes from Thorpe Park, Windsor Castle and Legoland theme park. Расположение: Nearest station/metro: Earl's Court Tube Station -2min walk. Расположение: Nearest station/metro: Victoria station -2km. Nearest exhibition centre: Earls Court -1km. Nearest airport: LHR airport -30km. Расположение: Other amenities/services: located between Gloucester road and South Kensington. Nearest airport: Heathrow Airport -16 miles. Расположение: Important place or monument close to the hotel: situated in the heart of London's theater district, near Oxford Street tube station. Nearest airport: Heathrow Airport -40min. Расположение: Important place or monument close to the hotel: London Zoo -2miles, Oxford Street -0,5miles, Harrods -1mile, Madame Tussauds -1mile. Nearest airport: Heathrow airport - 10miles, Gatwick airport -30miles. Расположение: Important place or monument close to the hotel: situated at Sloane Square. Nearest station/metro: Victoria station -1 mile. Nearest airport: Heathrow Int'l airport -20 miles. Расположение: Запад Центрального Лондона, 1-я транспортная зона. Расположение: Important place or monument close to the hotel: situated at the Royal Victoria Docks adjacent to Excel East, city center - 7km. 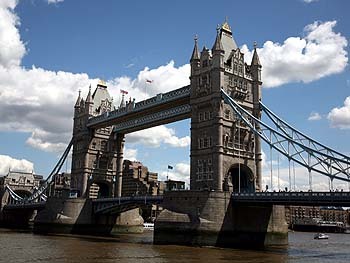 Расположение: The hotel is situated south of Tower Bridge, close to the Tower of London, HMS Belfast and the City of London. Close to Tower Hill (District Line) and London Bridge (Northern Line) & Jubilee Line Underground and Tower Gateway (DLR). Расположение: This hotel is located in the city centre of London. It is close to the British Museum and the nearest station is Holborn Station. Расположение: Important places near the hotel: In the heart of theater district, close to Drury Lane Theatre and Covent Garden. Airport: Heathrow-16 miles. (Renovations 1995). Расположение: Important place or monument close to the hotel: Located just across the road from Hillingdon Tube station, city centre London - 32km. Nearest station/ metro: hillingdon - Nearby. Nearest Airport: heathrow - 8km. Расположение: Important place or monument close to the hotel: situated a short 2min walk from the bars and restaurants of Muswell Hill and only 12min from the parkland and exhibition halls of Alexandra Palace, West End -30min by tube, Central London -25min by car. Расположение: Important place or monument close to the hotel: located in the central. Nearest station/metro: Edgeware road mtr station - 4min walk, Paddington station - 1Km, Bus stop - 2 min walk. Nearest Airport: Heathrow airport - 18 Km, Gatwick airport -24 Km. Расположение: Other amenities/services: City center -20min drive. Расположение: The hotel is located close to Victoria mainline train and tube station, in a peaceful side street within walking distance to the Tate Gallery, river Thames, and Buckingham Palace. Расположение: Nearest station: Paddington 0M., Nearest airport: London Heathrow Apt 20M. Расположение: Important places near the hotel: Located in fashionable Hampstead. 150 yards from Belsize Park tube station. 3 miles from city centre. Airport: Heathrow-20 miles. (Renovations in 1992). Расположение: Important place or monument close to the hotel: Located in the heart of London just a couple of minutes walk to Hyde Park and Kensington Gardens, city centre - 1km. Nearest airport: Heathrow - 22km. Расположение: Location: In London City Centre, In The Exclusive Royal Borough Of Kensington And Chelsea, Close To Knightsbridge And With Direct Access To The Tube And Roads Leading To The Airport. Расположение: Location: Close To Kensington Palace And 500 M. From The Underground Station Gloucester Road. Heathrow Airport Can Be Found 25 Km. Away. Расположение: 3-я транспортная зона, Запад Лондона. Расположение: Запад Центральной Части Лондоне, 1-я транспортная зона. Расположение: Location: Next To Hyde Park With Easy Access To The Famous Borough Of Notting Hill With Its Boutiques And Antique Shops.